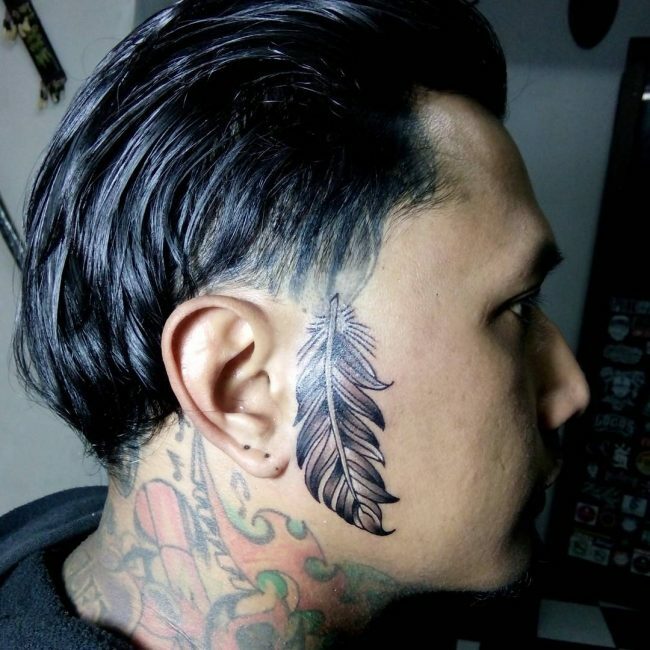 The feather tattoo is an attractive design and it also conveys the message of powerfulness which a lot of men appreciate. 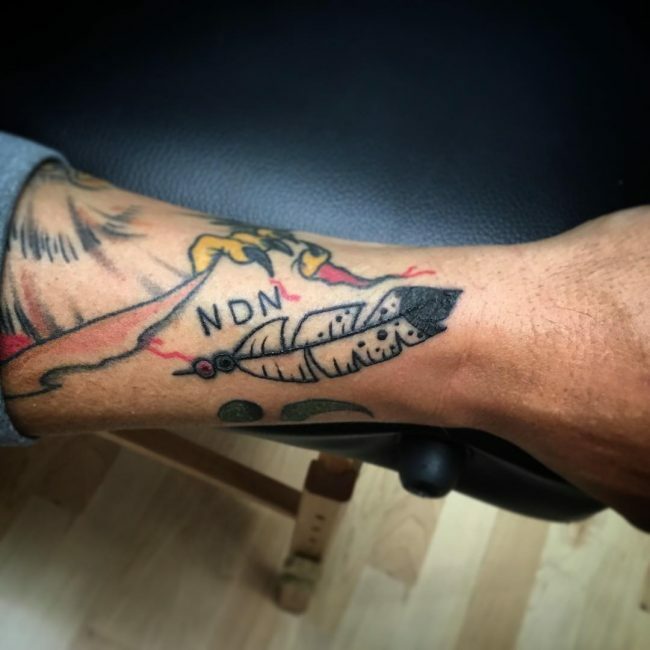 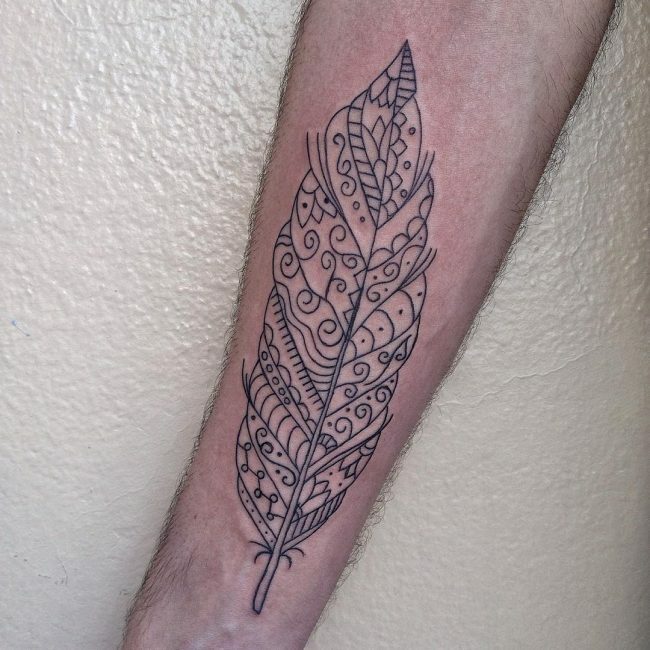 Feather tattoos have a rich history and diverse meanings. 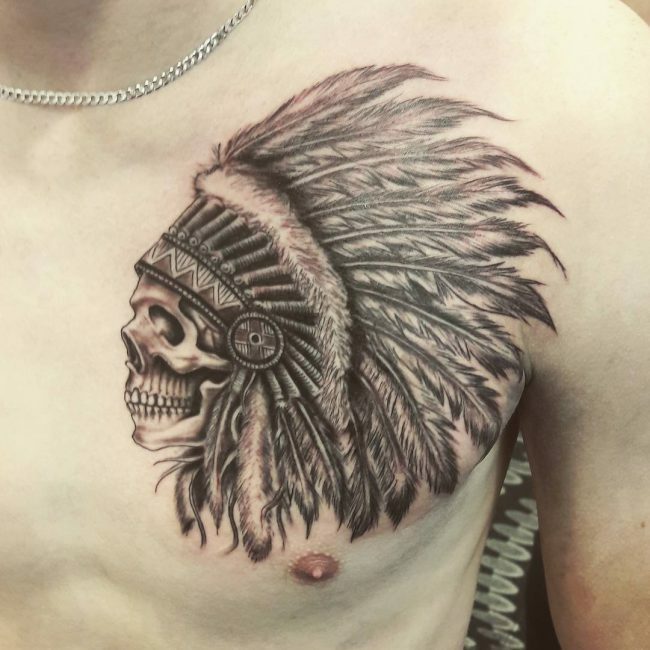 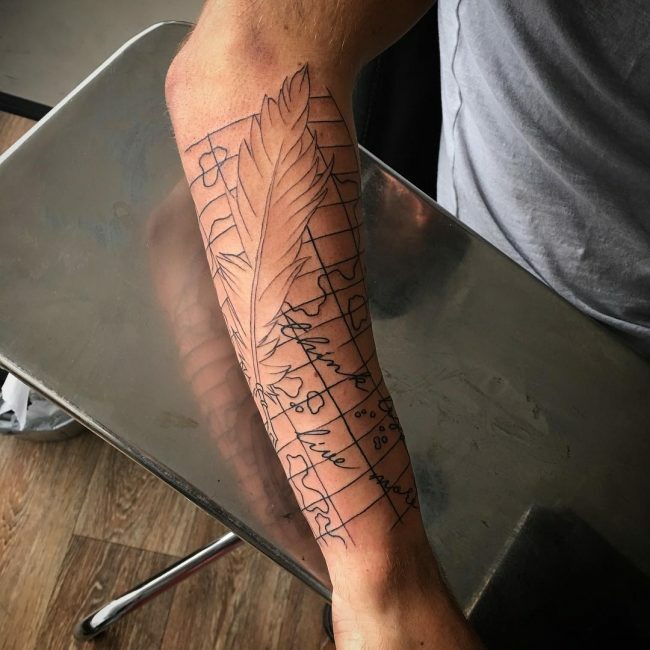 The advantage of this uniqueness is that it is possible for any men to convey a broad range of personal ideas by opting for the meanings and designs that are linked to feather tattoos. 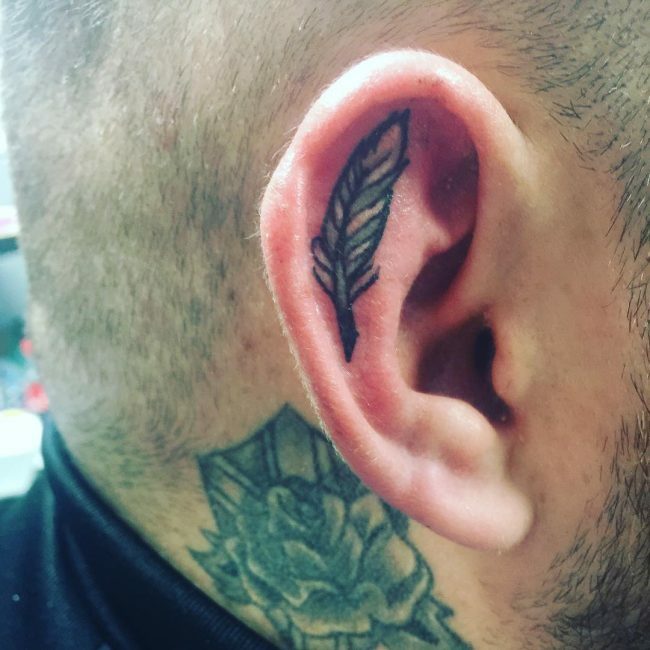 You can choose to have a feather tattoo on any body part you wish, and the benefit is that you will still have a great impression regardless of the body part you pick. 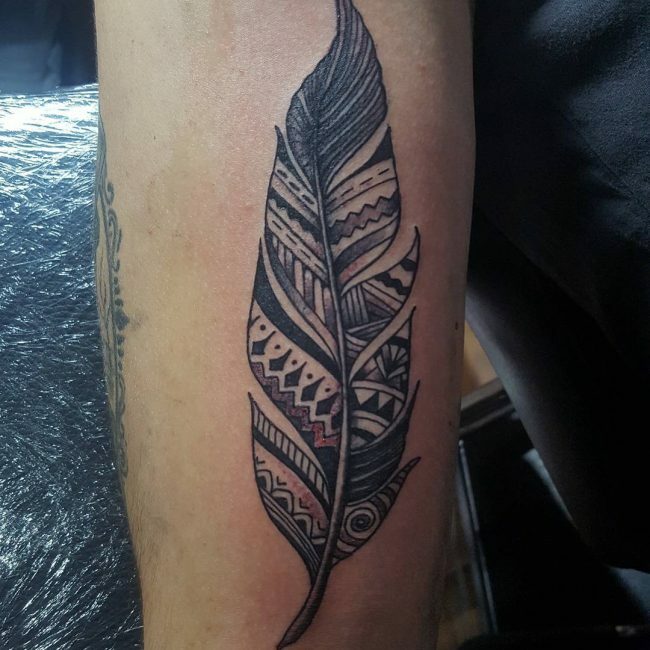 Feathers are of historical importance to many cultures around the world. 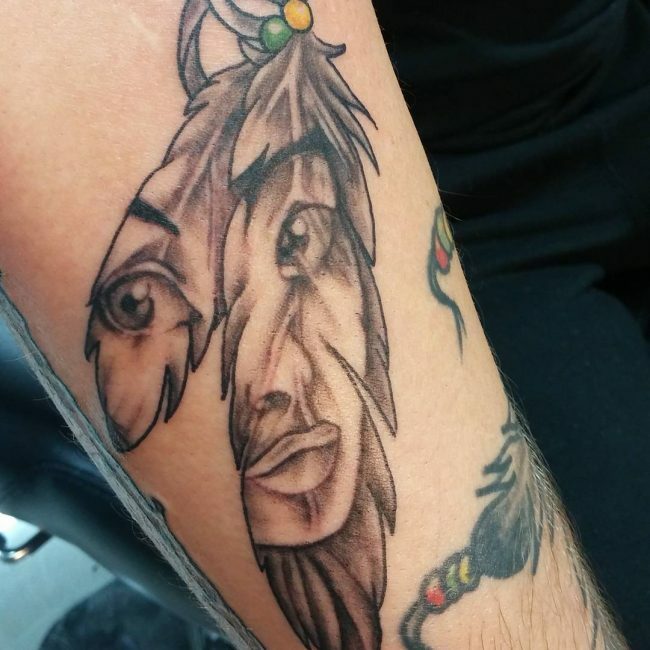 They symbolize freedom, power, and social link, and this can be often seen in the many cultures of the Native Americans. 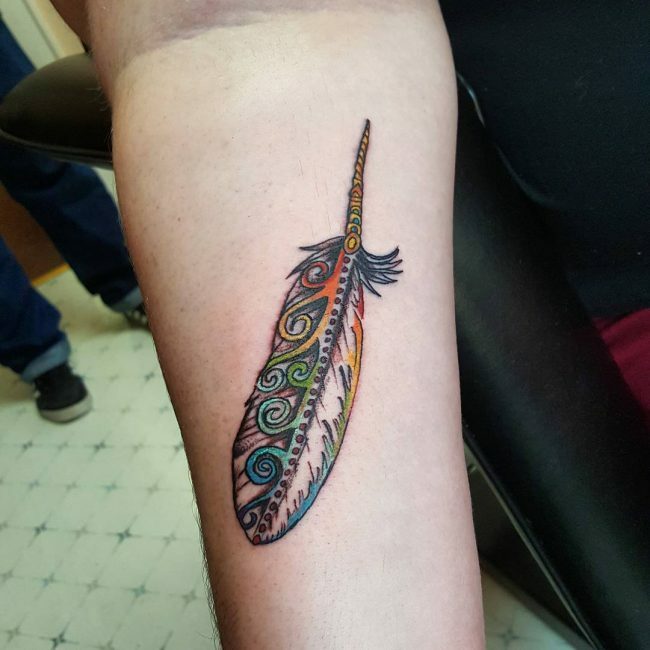 In Native American culture, feathers represent the spirit of a free bird. 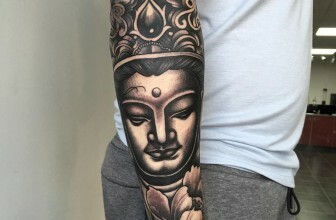 It implies that a person has a free flowing knowledge, ideas, and energy within, and by using these, any person can be better prepared to conquer his or her desires. 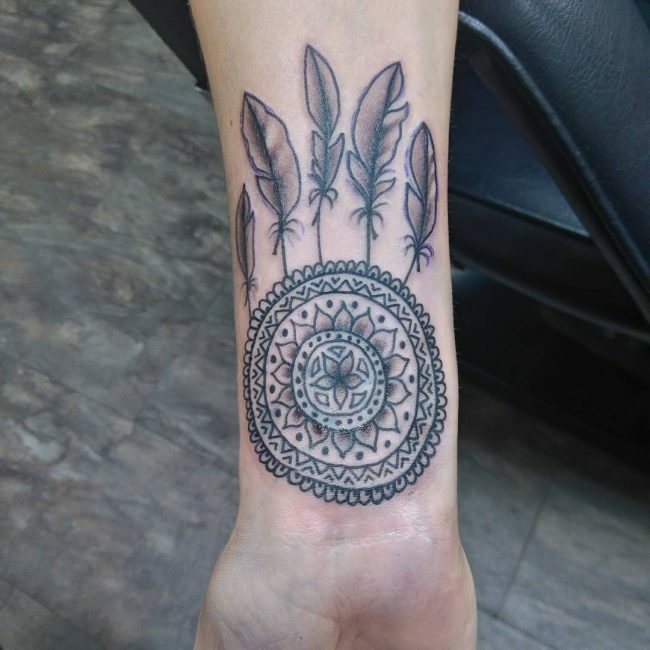 The same concept applies for feather tattoo designs. 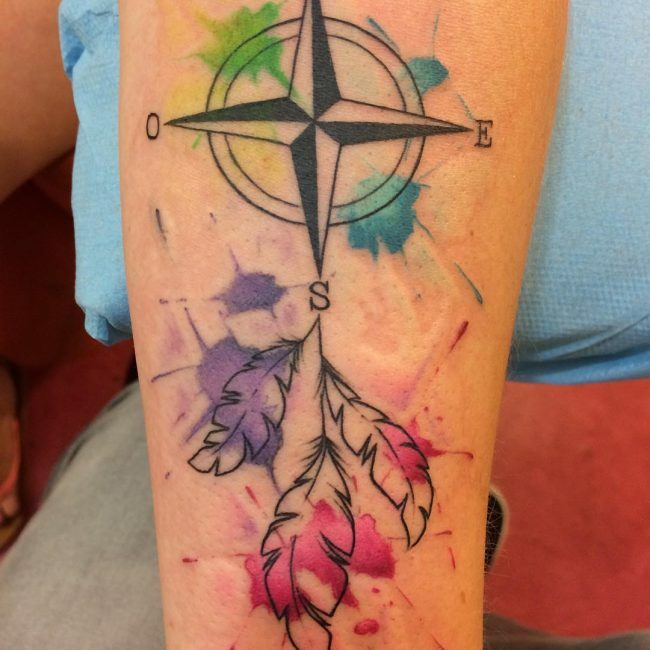 By opting for this great tattoo design idea, you can to redefine your personal destiny by setting a path which creates personal satisfaction. 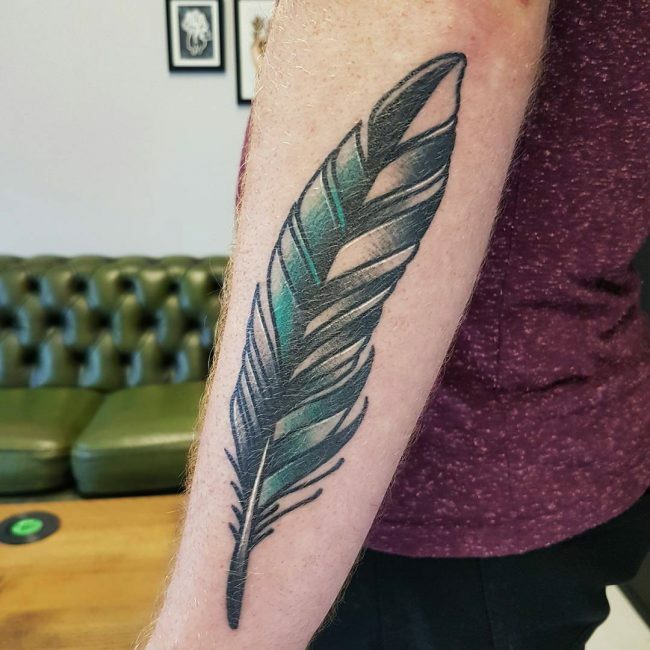 Feathers are also the symbols of power. 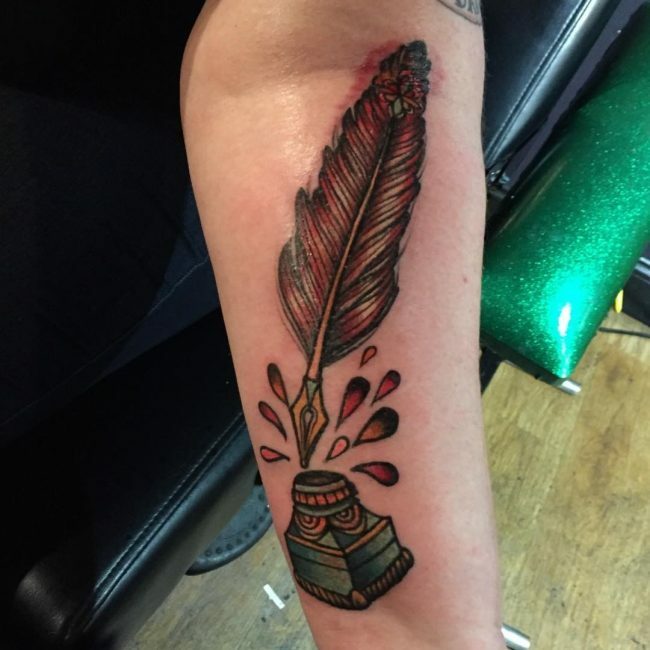 In many ancient cultures throughout the world, feathers were only reserved to be worn by people who had a greater power. 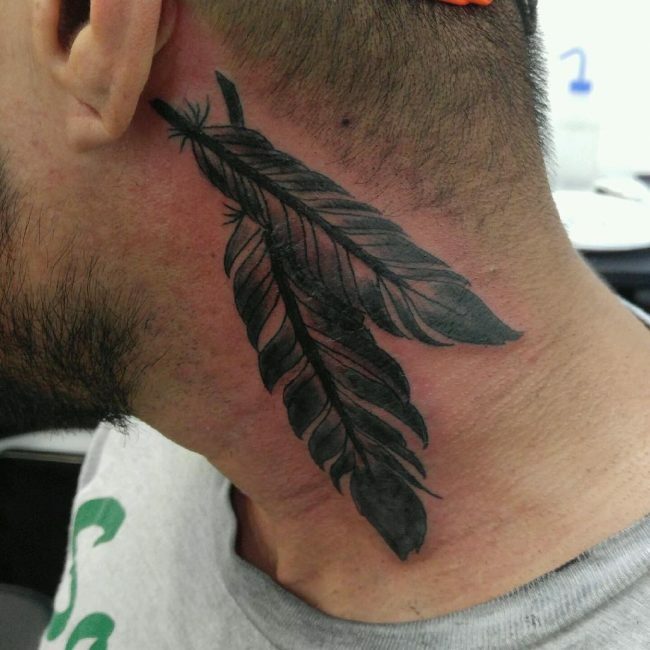 For instance, feathers were used to honor a person for any act of bravery, courage, and leadership. 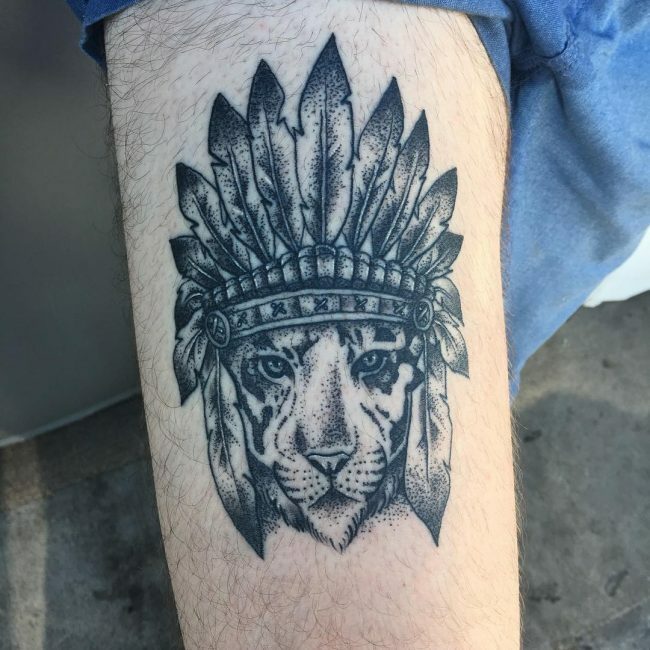 A lot of men easily relate it to power and bravery, these are some of the personal attributes that make any man stand out from the rest of the pack uniquely. 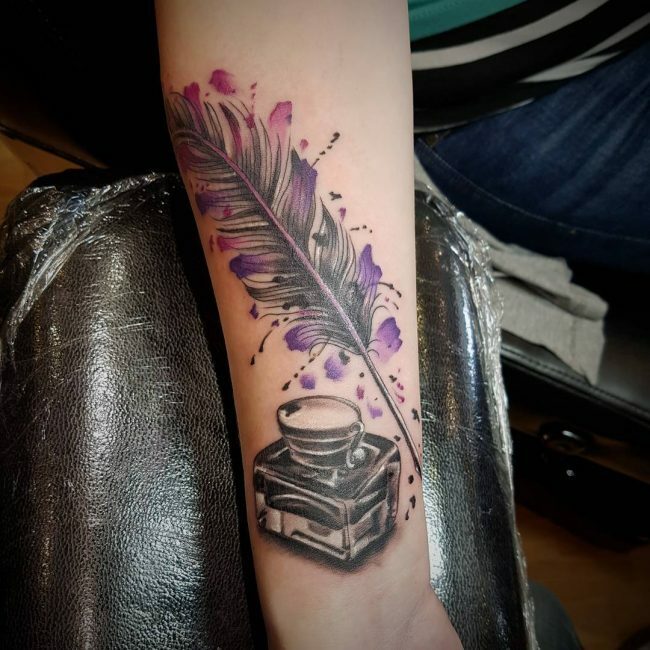 If your desire is to have that greater feeling of inner confidence, then the best tattoo design idea you can opt for is the feather inking. 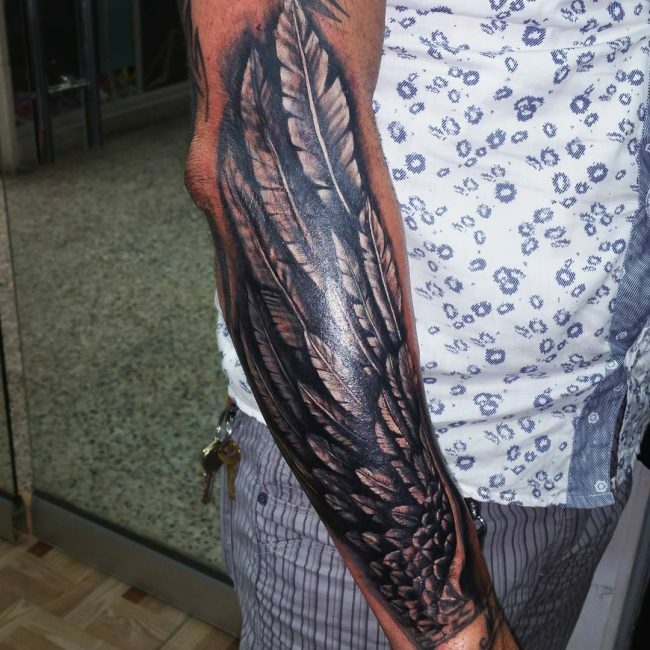 In the ancient Egyptian culture, feathers were used to represent the holiness of the sky. 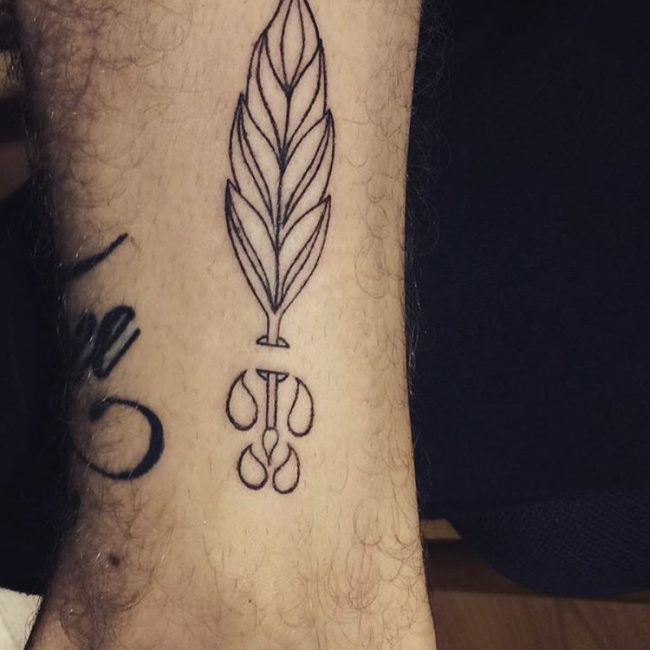 They were seen as a symbol of the good things that befall a person’s life. 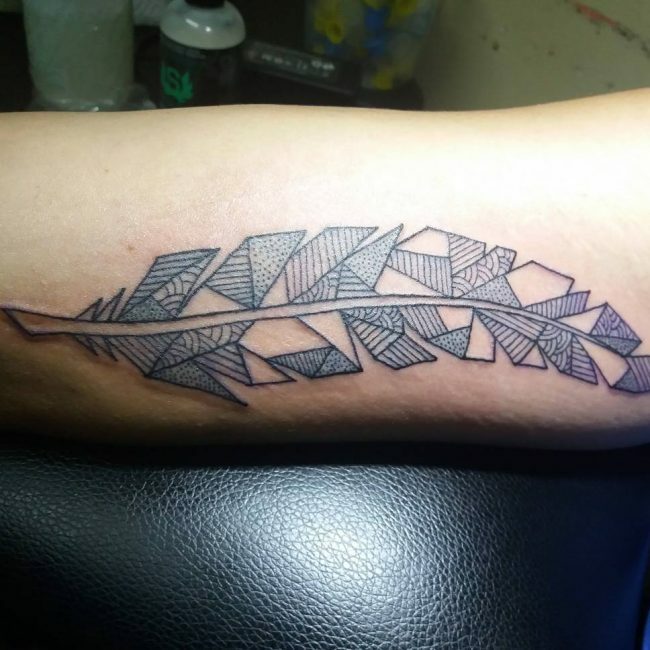 If you want to enjoy the inner personal peace, then you will find all these solitude by picking on a feather design to represent this idea. 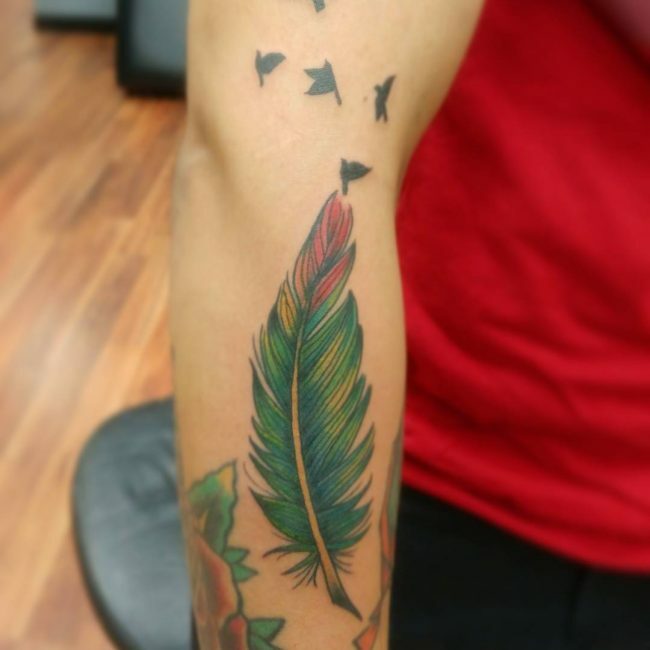 Birds are seen as conquering yet peaceful creatures, and this is an aspect which any man should strive to fulfill. 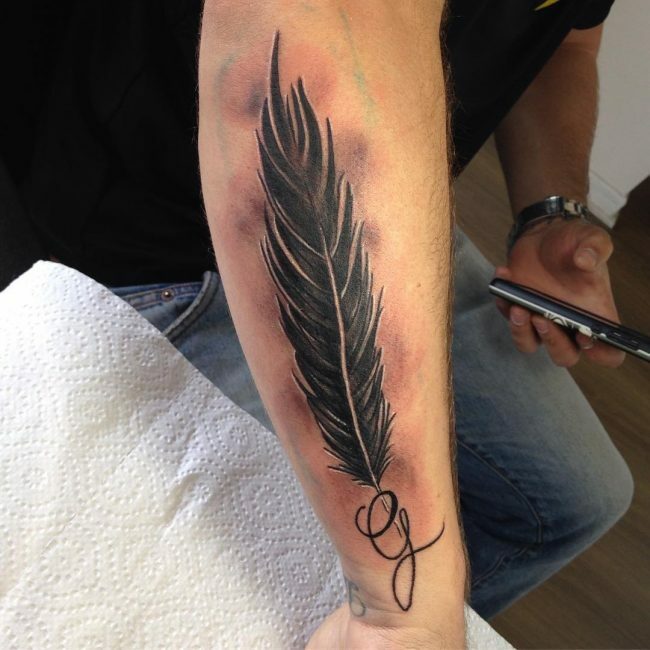 All you need to enjoy having a great feather tattoo on your body is to take some time. 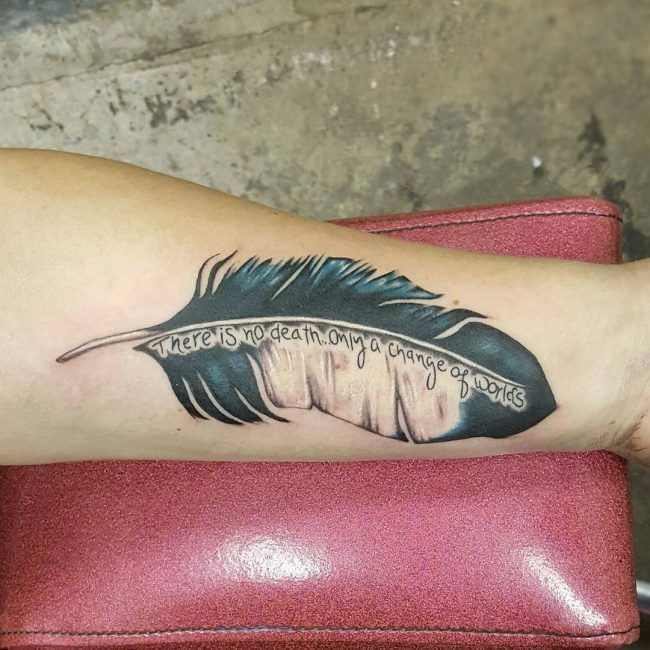 Think over a deserving feather design, and have it on that part of your skin which you feel can make it deliver the message you intend. 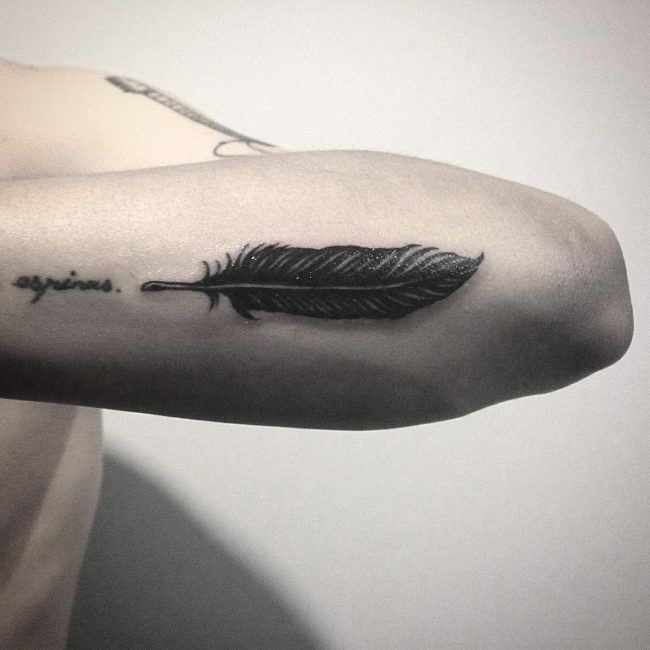 The best body location for a simple yet versatile feather tattoo is your inner arm area. 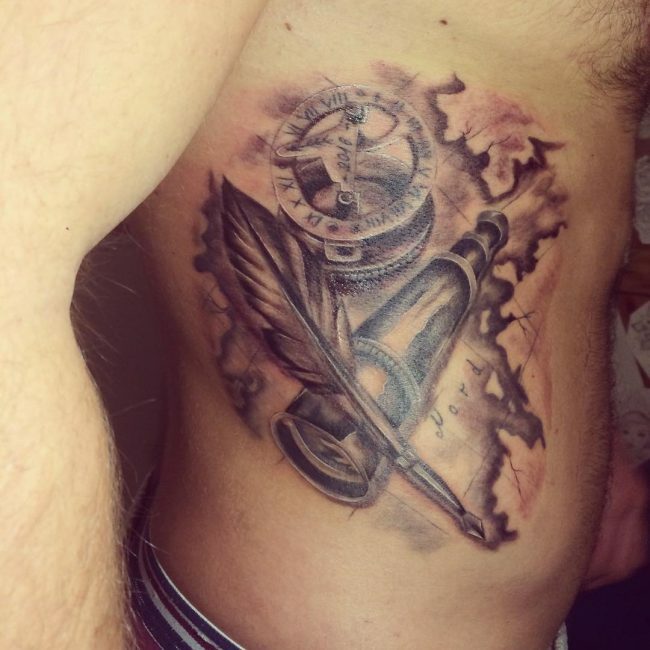 This model works well for men with a developed muscular mass on the arms. 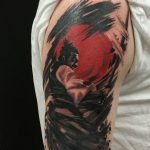 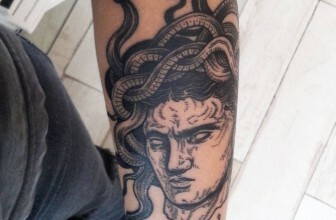 The tattoo can work out to be great especially if it is done in black and the inking is applied by the exquisite artist. 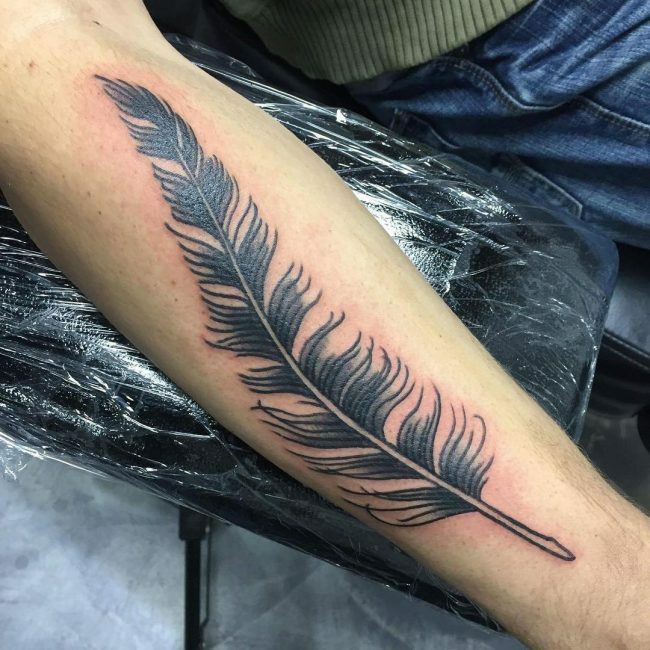 Feather tattoo on the inner arm is ideal for people who are fond of attending music concerts and wearing masculine t-shirts. 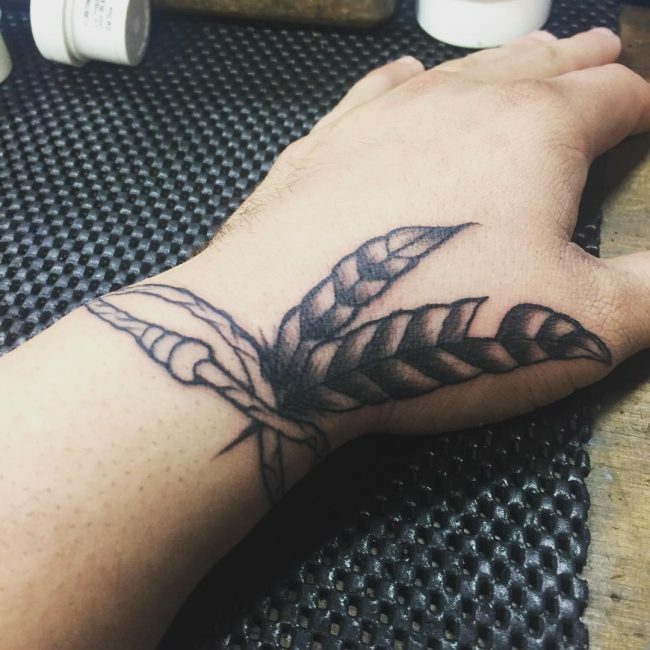 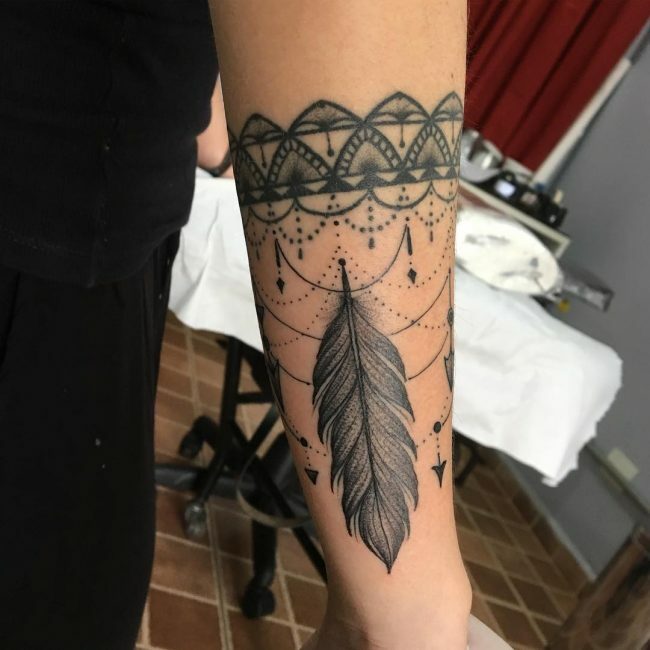 You will feel the calmness behind this feather tattoo design idea every time you raise all your hands in the air, and the resulting feeling is ever assuring. 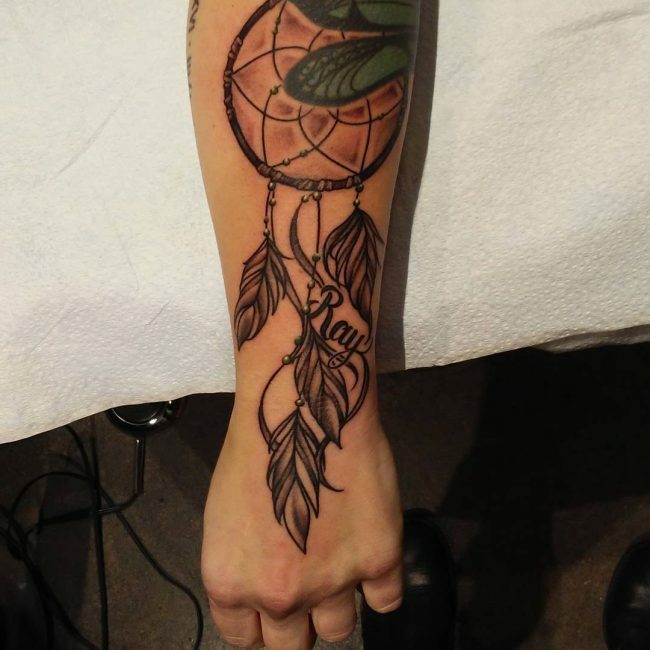 The forearm is another great location for putting a feather tattoo. 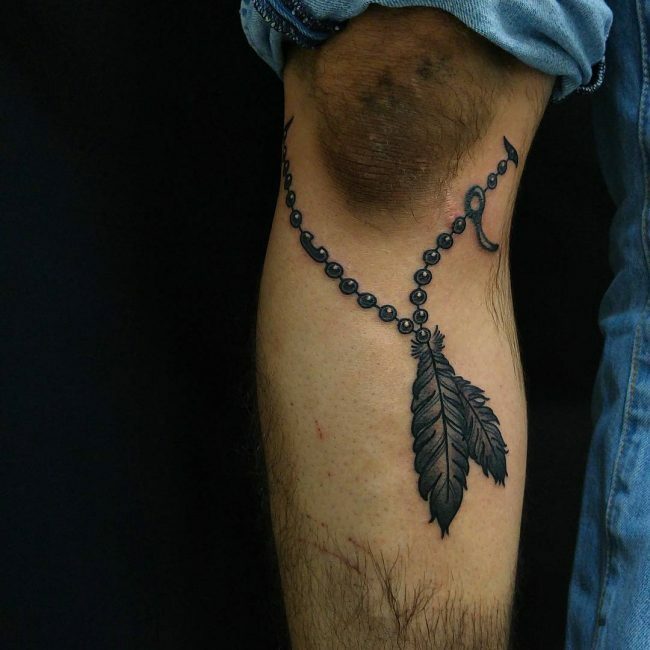 The fact is that nothing looks more stunning and gorgeous as the appearance of a well-inked tattoo on a forearm. 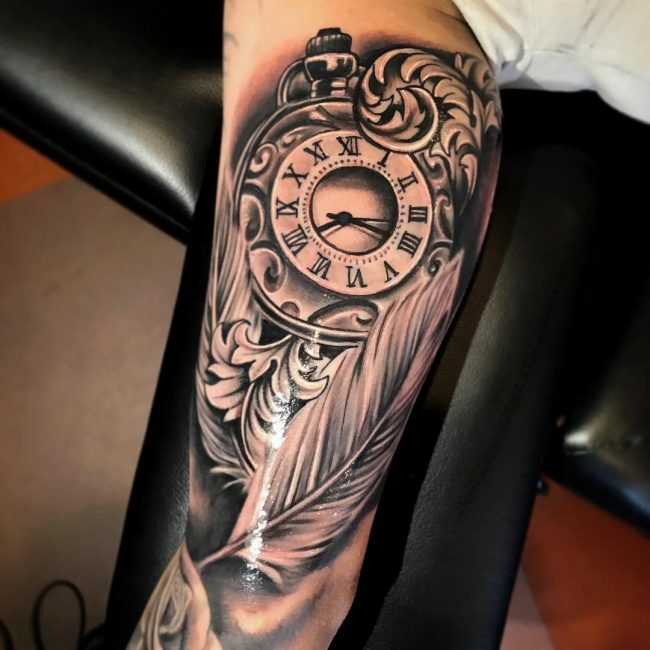 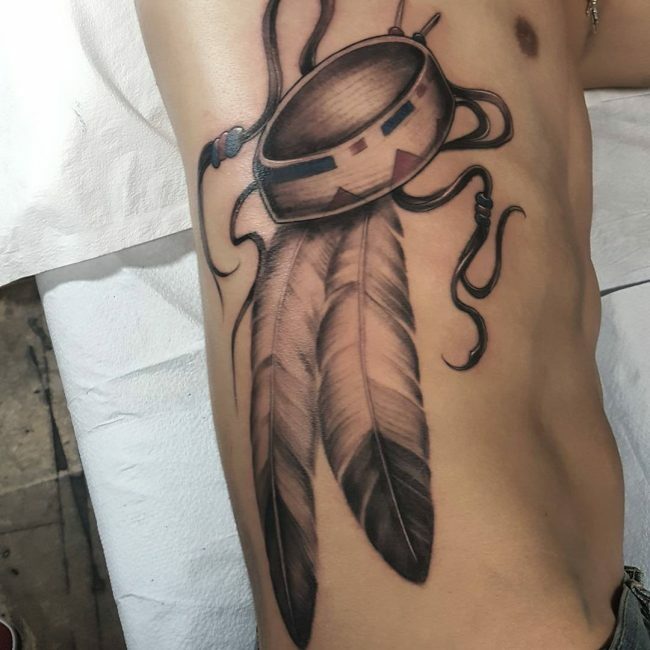 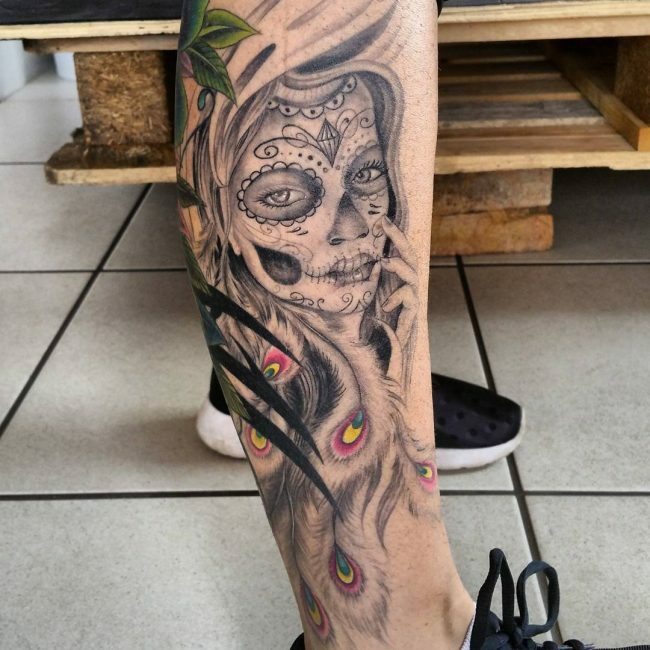 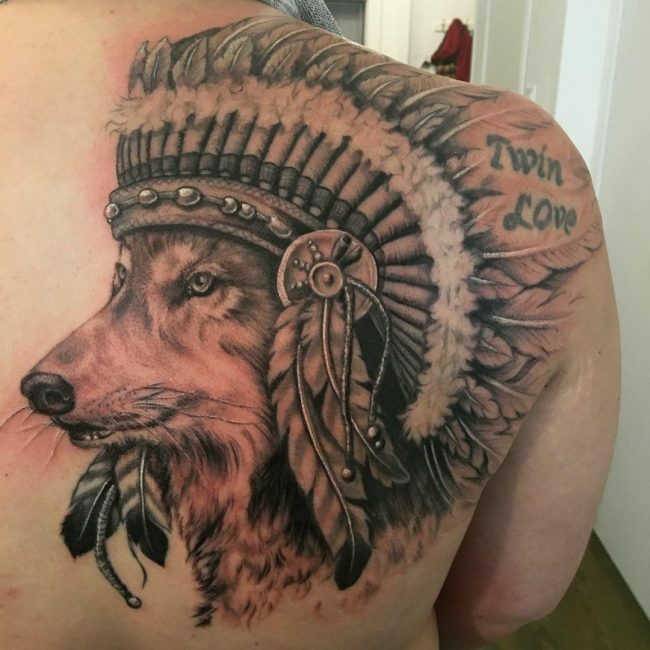 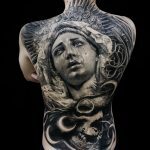 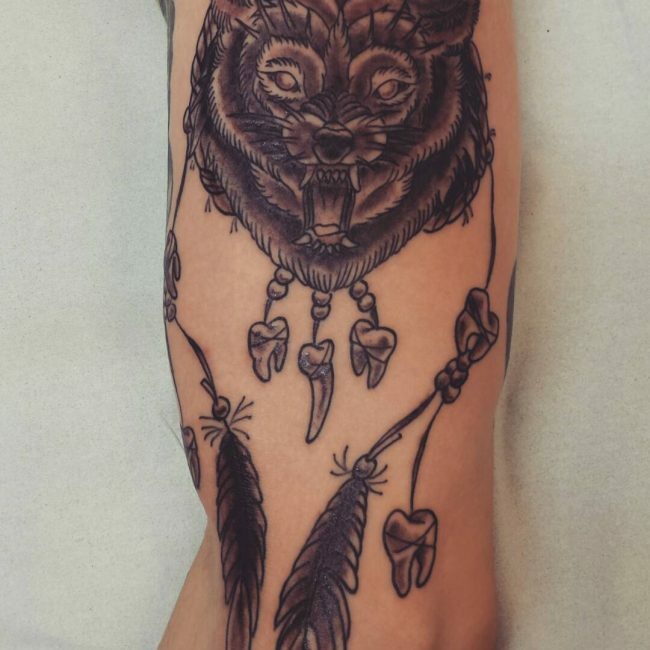 This body location allows large tattoo designs to be made, and besides, it is also possible to do the inking with different colors and still manage to come up with a great impression. 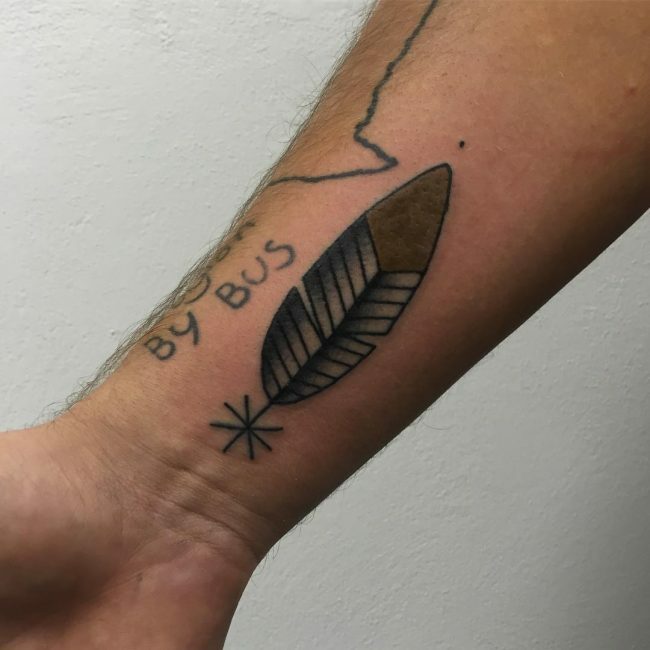 Besides choosing a body location to have your feather tattoo, you can still exquisitely concentrate on a specific way you would want the tattoo you prefer to appear. 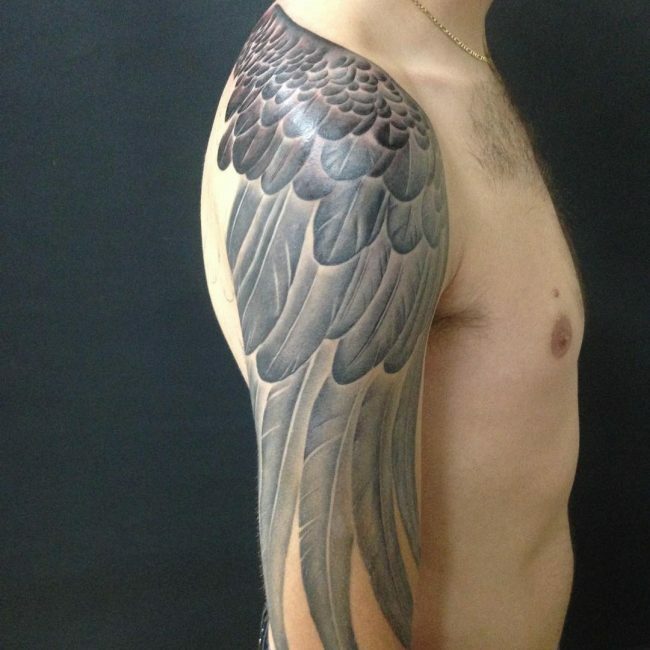 Tattoos with a winged appearance are breathtaking thanks to the color shading inking they have. 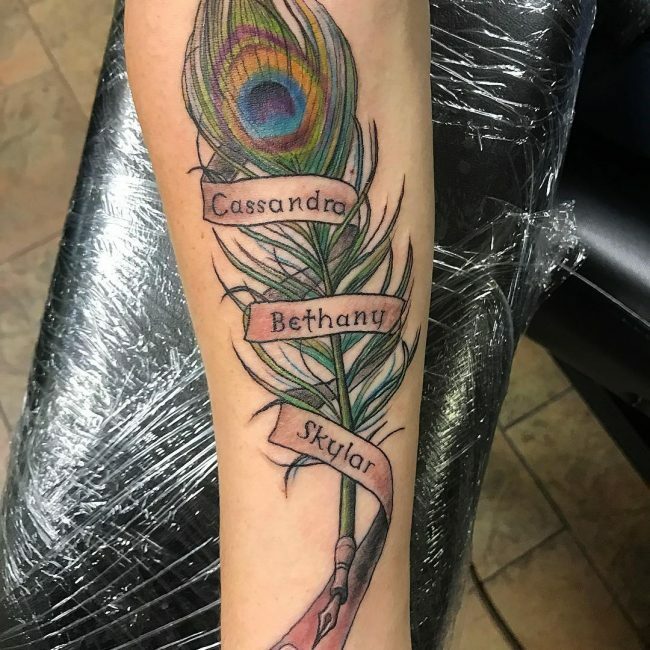 These types of feather tattoos can be done in black with red or pink undertones to represent the visual appeal of a winged-feather. 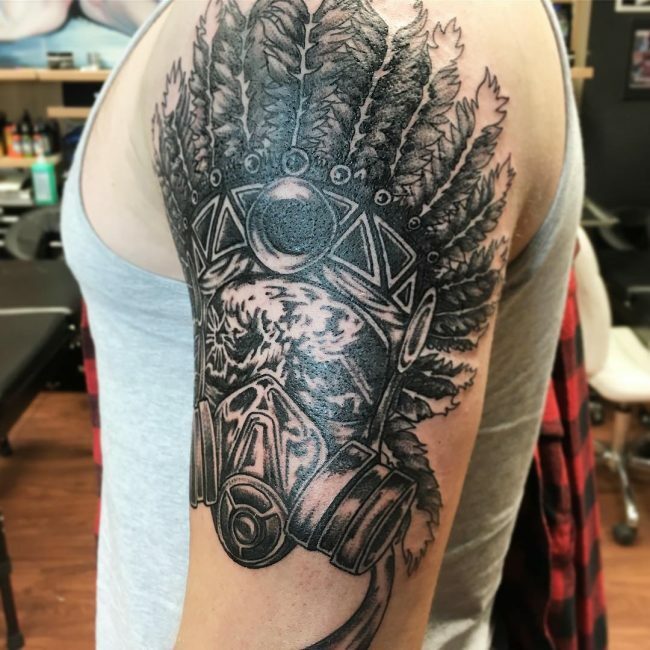 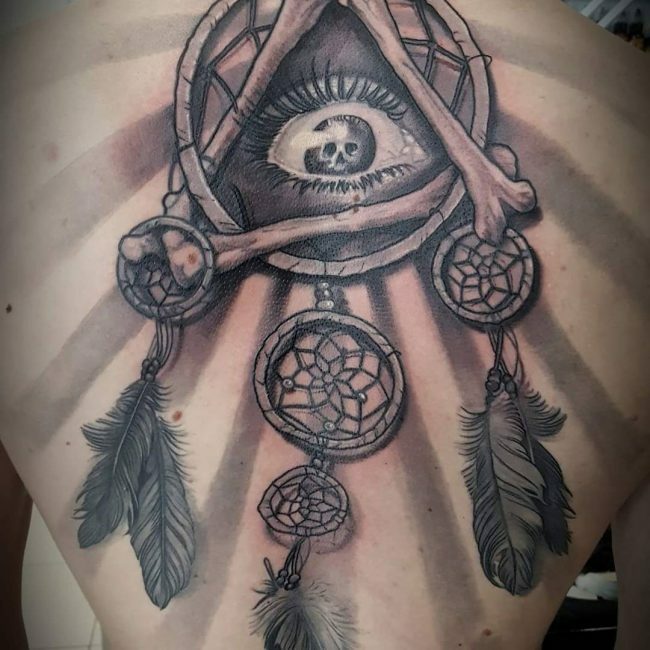 This tattoo design looks great if placed on the arms, the back, and still, there is nothing wrong if you decide to have this tattoo inked on the back of your legs. 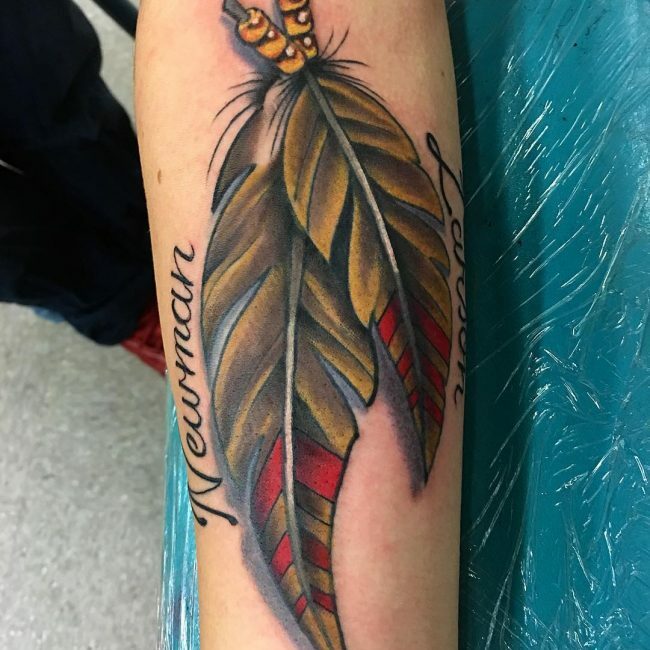 Another great way of representing a feather design is by having a dual set of feathers on your arms. 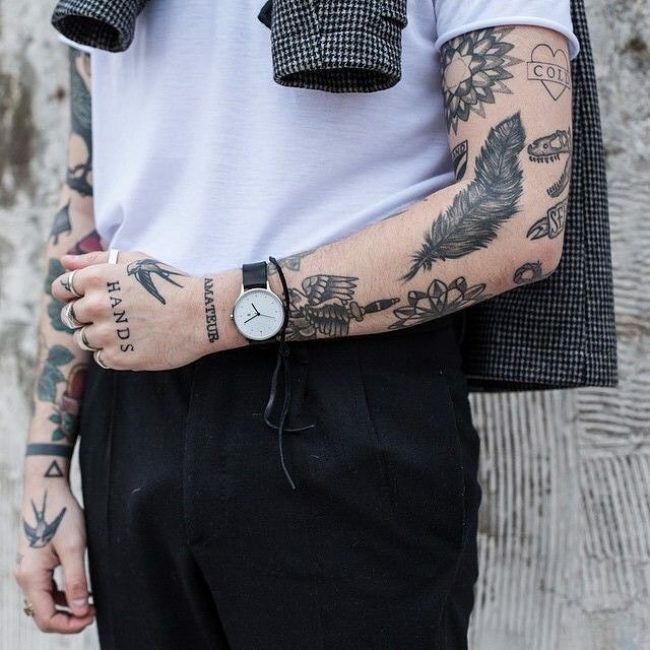 If the inking is done with artistic aura, then this design will deliver a greater feeling especially if you are fond of wearing shirts with folded sleeves. 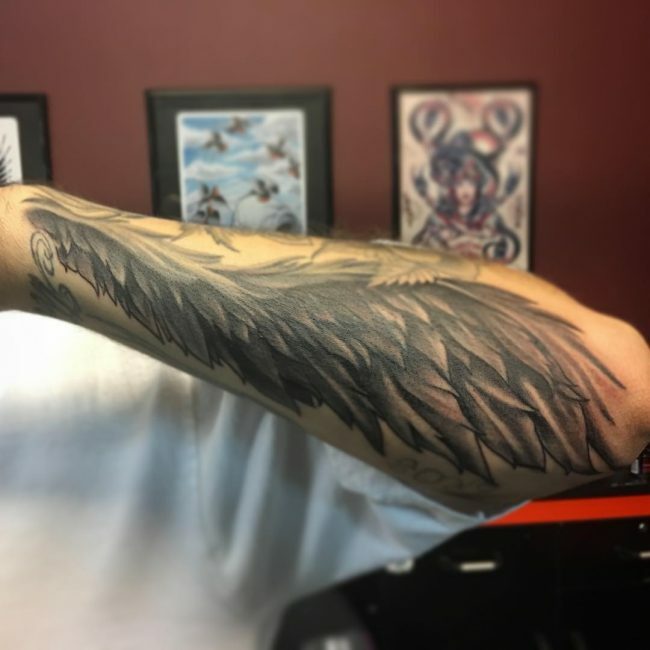 It requires a wing design on your arms. 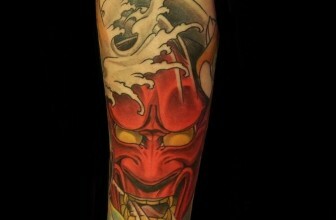 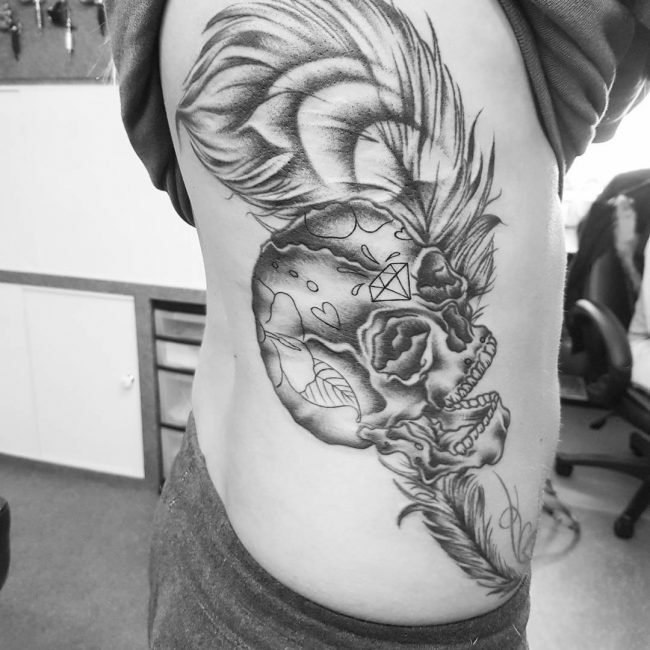 Usually, this tattoo is done in black and gray and involves a mass of smaller details. 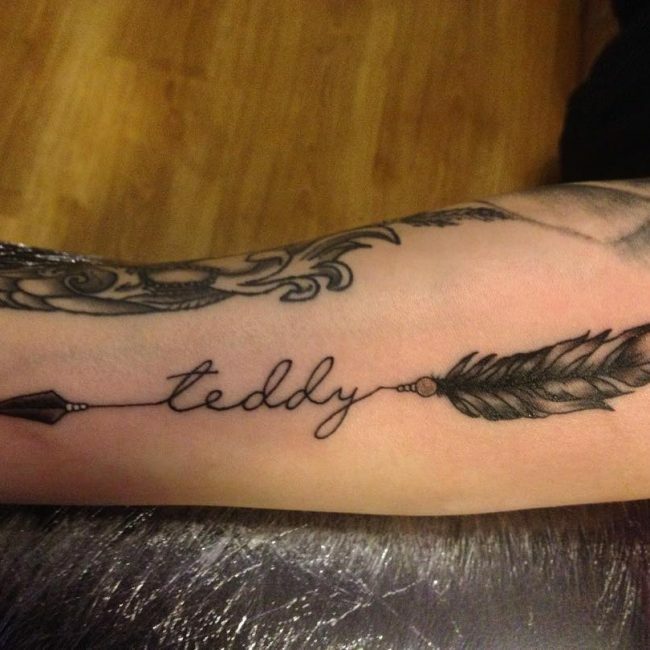 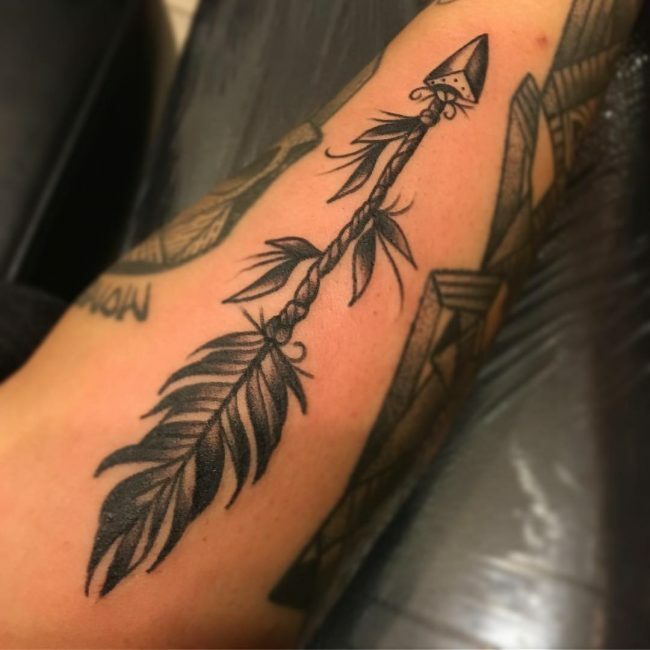 Still, you can include items such as arrows, and as long as the design impression is compatible with the feather tattoo design you have chosen, then you will be assured of having made a great artistic decision. 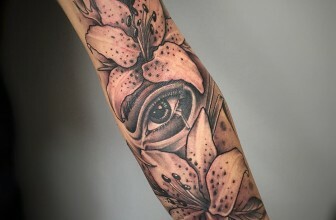 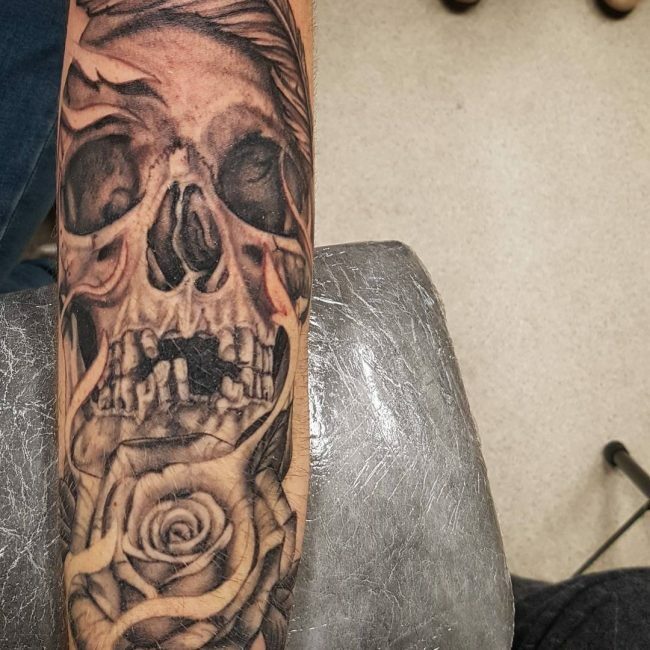 Any tattoo idea you decide to ink can totally lead to a different meaning, and this can happen if you give fewer thoughts to how you should go about the whole tattoo design process. 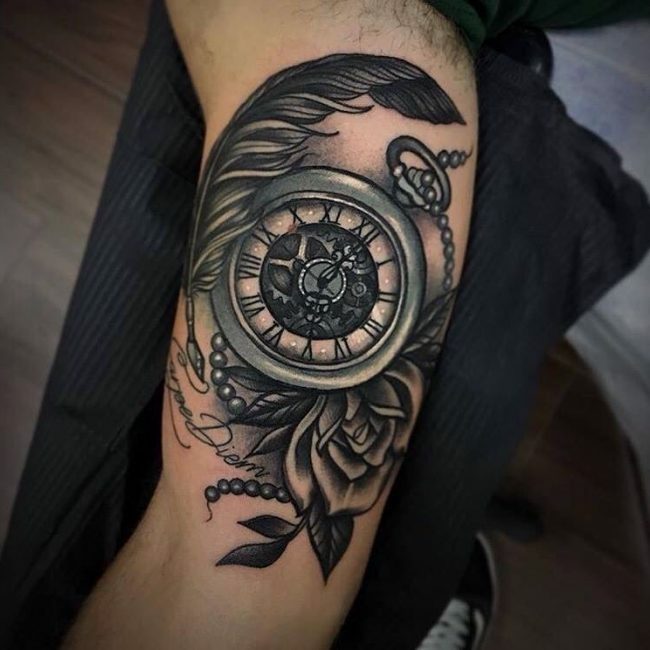 You should take time and think on all the aspects such as the color, size, uniqueness and the location where all should finally be inked. 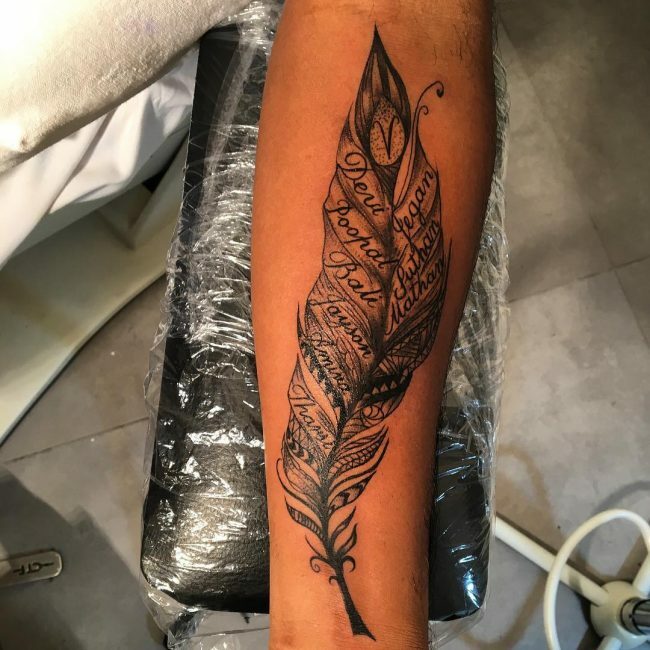 To have the design that is likely to appeal to your thoughts, you can browse through many images of feather tattoo design ideas for men or chose the one from the designs here. 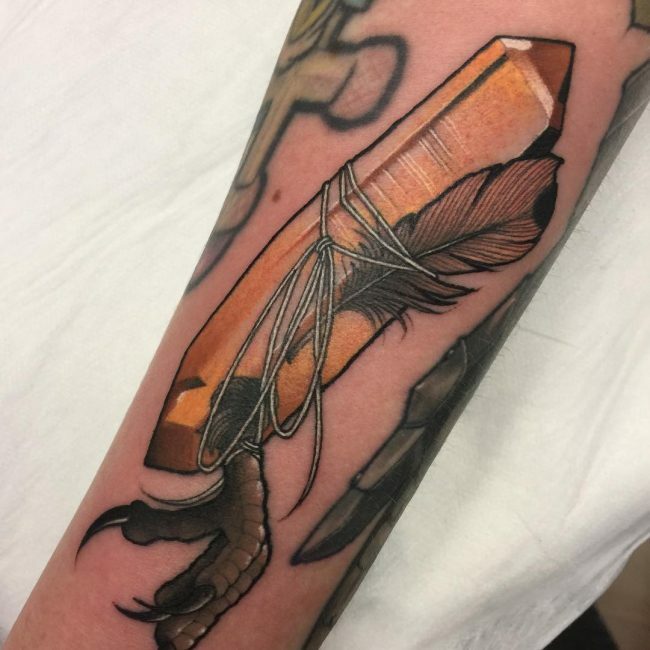 With this approach, you will surely come across that specific feather tattoo that can appeal your personality, and how you would like your inner and outer thoughts to be perceived.